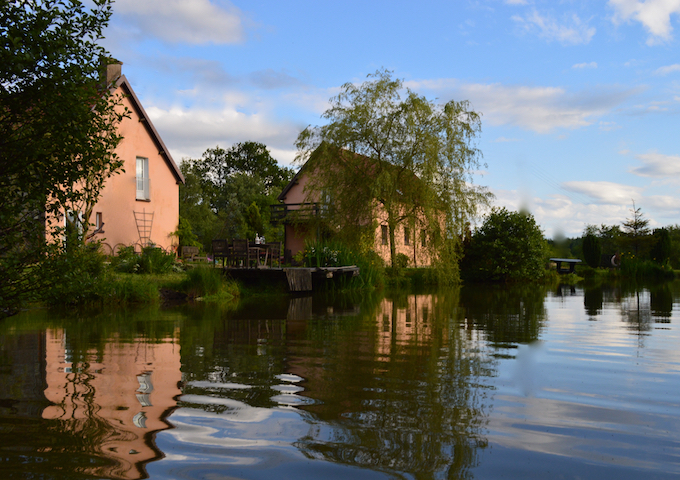 La Chatouillette offers comfortable, fully equipped detached two bedroomed accommodation, with exclusive fishing on a private Carp lake. 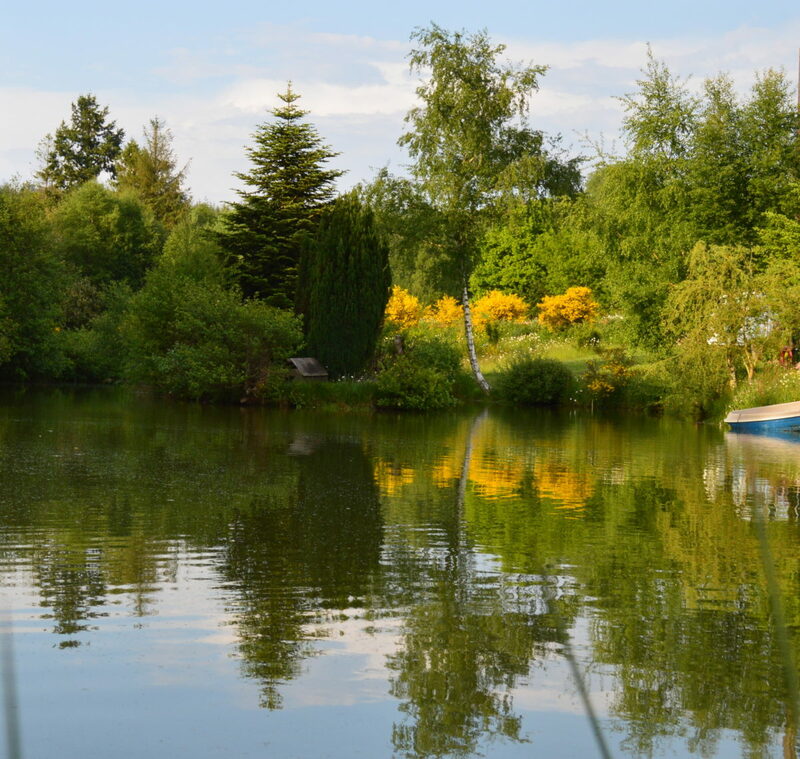 The Gite is exquisitely set amidst a wide variety of flora, fauna and wildlife. The river flows untamed along the property and through the private small wood . Nestled in the lush forests of the Regional Natural Park of southern Normandy, La Chatouillette is situated in the heart of the Calvados brewing area and cider routes. We are poised to welcome Anglers, Photographers, Birdwatchers, Artists, Environmentalists, Star gazers or those who enjoy outdoor pursuits , such as horse riding, cycling and rambling. La Chatouillette is the perfect celebration of what you love most in life. Ideally situated a short 1hr 33 minutes from Caen on the D36, between the villages of Ger and Barenton, La Chatouillette is centrally positioned for daily excursions to many of the larger towns and tourist attractions. The name La Chatouillette (La-Chat-wee- et) literally translated, means ‘the little tickle in your throat’, which is experienced after sipping Calvados, our region’s famous cocktail which is distilled from local apples or pears. 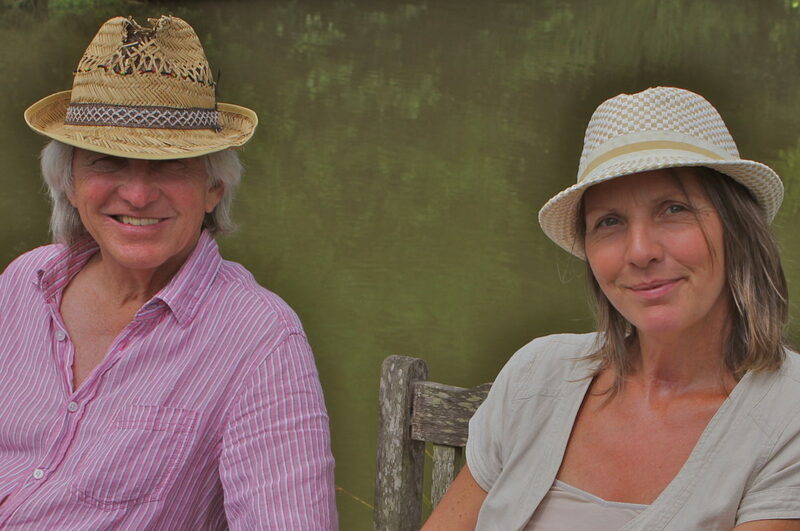 La Chatouillette is owned and run by Allan and Josie Francis-Munn. Allan is a Masters graduate in marketing and was a magazine and book publisher for most of his life. He is extensively involved in environmental issues including the protection of Rhino and Drought Relief. He was co-founder of The Environment Africa Foundation. Allan has interests in writing, poetry and music. In summer family ‘sing-songs around the outdoor fire have been know to extend into the early hours! His many years in Africa offer a deep reverence for nature and community. Josie is a graduate in Contemporary Design Crafts and Ceramics. Her creativity and ideas spill over into the decoration of the house and garden. Josie’s often up with the early morning sun enjoying a walk and capturing that ‘special light’ which is ideal for taking photos. 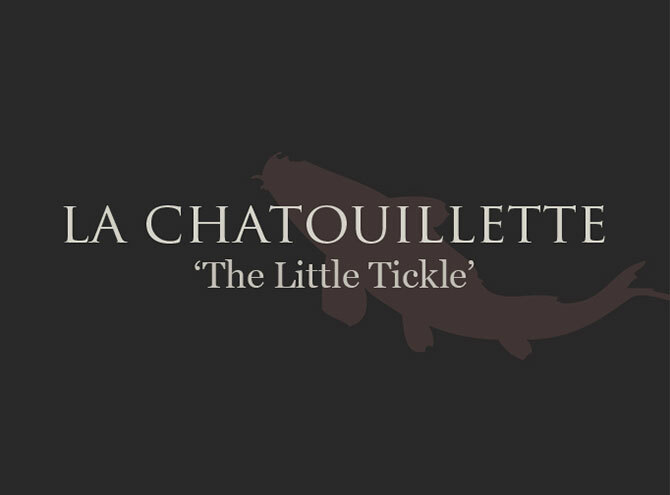 Allan and Josie infuse La Chatouillette with a distinctive feeling of welcome. La Chatouillette has many surprises. 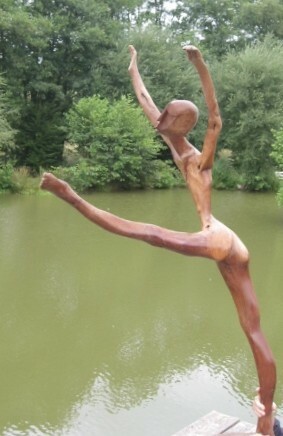 A symbolic wooden tree Sculpture from Africa “The Little Tickle” as she is now known, rejoices in overlooking the bountiful Carp lake. 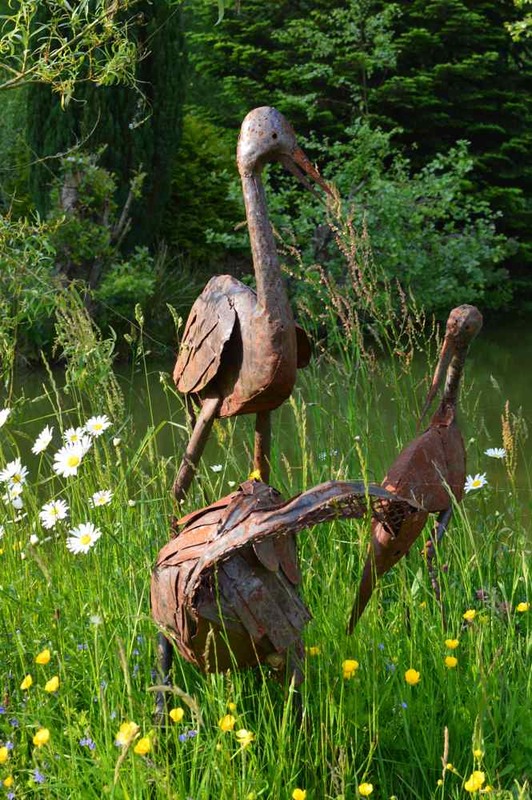 African recycled metal sculptures are creatively positioned around the natural gardens.